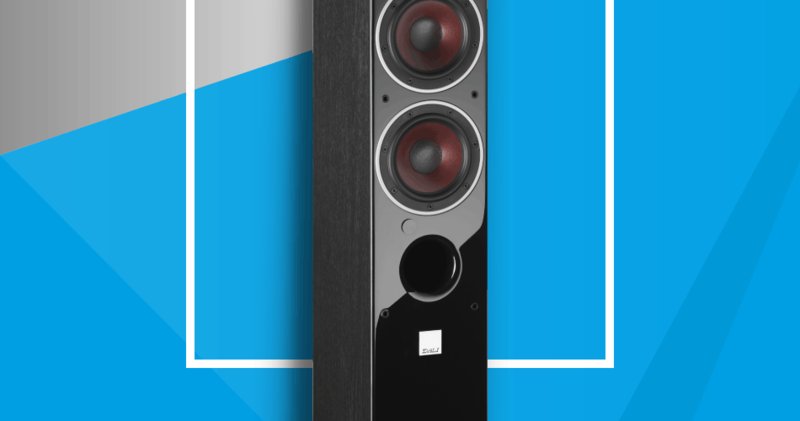 BlogHome » q acoustics 350 side view » Blog » Can I Use Floor Standing Speakers for Surround Sound? A surround sound system is a home theater system designed to create a more immersive cinema effect in the privacy of your own personal viewing area. A novelty for decades, the development of large, wall-mounted plasma and LED television screens has made them a popular addition to many peoples’ home entertainment networks. Today’s modern sound systems are capable of replicating the “sweet spot,” that point in a movie theater where the sound quality is perfectly optimized, enabling you to enjoy the best possible movie-watching experience. Tower speakers can be used with a modern surround sound system—in fact, they should be. Not exclusively, but a pair of floor standing speakers, augmented by smaller, strategically located speakers, will result in the ideal setup for surround sound. Whether you’re a music lover or an action movie enthusiast, the ambiance you will add to your experience will be unrivaled. So, why is this, and how does it work? A speaker produces sound by using a device, called a driver, to vibrate a cone. There are a variety of different cones and drivers available, but in simple terms, the driver moves the cone of a speaker forward and back at a rapid pace. With small speakers and headphones, there is often only one cone—occasionally two, and they’re quite small. This adversely affects the quality and range of sound that the speaker is capable of producing, because different cones are ideally suited to particular ranges within the human audible spectrum. The larger size of floor standing speakers allows them to have more individual cones per speaker, which modern electronics further permit to be networked together in a detailed and intricate fashion. The result of all of this artisan-level craftsmanship and engineering is a sound system which offers specialized hardware for every individual part of the range of frequencies that the human ear is capable of interpreting. There is nothing like a floor standing speaker for natural, accurately-reproduced sound. Many smaller modern speakers, even headphones, allow for a certain degree of individual customization in terms of the sound they produce, but with their fundamental hardware limitations, there’s only so much variation which they can achieve. Floor standing speakers don’t just produce a wide range of sound more accurately than other audio systems; they produce a wider range of sound regardless, and are capable of combining the results of their cones to add unparalleled richness and depth of sound to their output. The key thing to remember, at this point, is that all of this can be controlled and manipulated by you—the user. Depending upon what you’re listening to on your surround sound system, you may want to deviate slightly from that faithful, organic reproduction of natural sound. You may want to add focus to high-frequency sounds, for jazz and opera music, or to low-frequency sounds for action films and heavier genres of music. The options presented by a floor standing speaker will enable you to do this with considerable ease, often with nothing more than the push of a button on a mobile software app. Hi there,I read your blog named “Can I Use Floor Standing Speakers for Surround Sound? – SpeakerXpert” on a regular basis.Your writing style is awesome, keep it up! And you can look our website about love spell.